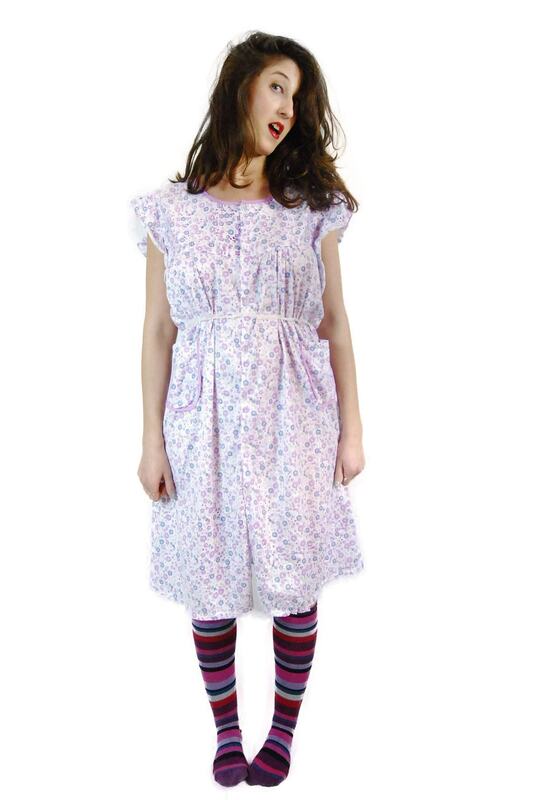 Vintage house dress from the 1970’s in white and purple floral print calico with flared short sleeves and convenient carrying pockets. 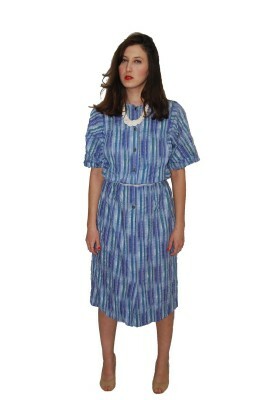 Availability: In Stock Categories: Vintage Dress, Size OS, 1970s. 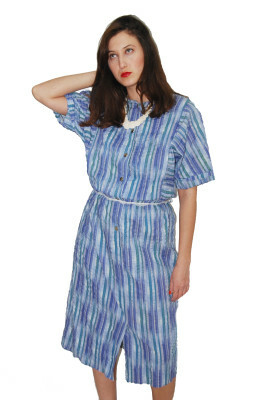 Tags: 70'S, Vintage Dress, Vintage house dress from the 1970's.